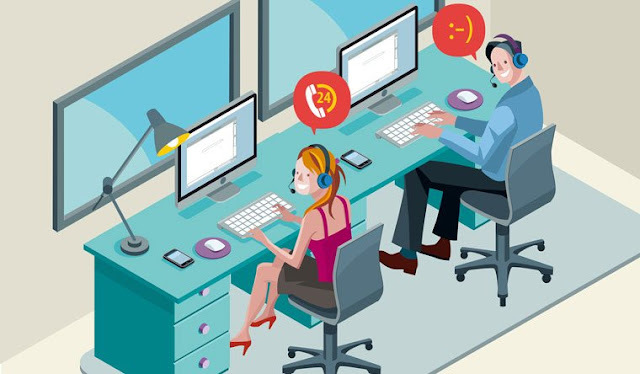 How Call Center Outsourcing Can Help You Forecast Sales? For emerging businesses, the task of forecasting sales is vital. However, a sales forecast is not simply a computed result as many believe. Although mathematics does play a part in predicting the future of a business, they are not the sole criteria for arriving onto a conclusion. In the past, some of the best forecasts have been made through logical guesswork and intuitions. Going with your gut, predicting the trends and devising a plan for the future is a good approach, but it is riddled with risks. However, it is possible to eliminate the risks by employing call center outsourcing and making the most of Salesforce Automation that comes built into most CRM software. 4. And, probably the most important of all: generates sales forecasts. Salesforce Automation is all about the power of analytics. All sorts of data related with customers’ preferences, history and behavior is stored in the CRM. Salesforce Automation makes use of all this data and provides intelligent insights that help in dealing with customers on a day-to-day basis. From product specific insights like how many times a customer’s product has malfunctioned to a customer’s behavioral tendencies and how he reacts to a particular situation, everything gets captured. This vital information provided by the CRM can then be utilized by the agent to deal with customers. So, if a customer’s product has failed many times, it would be an easy decision to provide him a replacement. And, if the customer has a short-temper (as derived from the call notes provided by previous agents), a customer care representative can be extra polite in dealing with him. All the aforementioned analyses are part of customer-level forecasts made by the automation tool. At business level, the scope of forecasts can be expanded. All the data generated by an automated CRM tool can be utilized for making predictions about the future of businesses. New insights can be discovered by processing the data at a macro level. Depending on the forecasts, it is easier to change or adapt the business model for gaining best results. For lowering the cost of operation – If you are able to outsource to a company in a country with a lower currency value, you will automatically profit from a currency exchange rate that works to your benefit. The money that you will save from your outsourcing endeavor can be utilized on enhancing the quality of the core product. Access to skilled labor – It is hard to find skilled labor unless you have a set operation for a number of years. Good workers generally join companies that have been in the industry for long. So, if you have a startup, you will only get substandard workforce at inflated prices. On the other hand, call center outsourcingwill provide you experienced and skilled labor immediately. Thanks for sharing good information Noida Exim Call Center outsourcing provides innovative outsourcing of customer support and customer service solutions, combining processes and domain expertise.